we provide various kinds of relaxing, hydrating, deep cleansing, lifting and anti aging facials for all skin types and conditions. when visiting our beauty salon, we will analyse your skin condition and advise on the facial treatment that is best for your individual needs. you will also receive a complementary neck, shoulder and head massage with every facial treatment. laser hair removal is a clinically proven treatment for the removal of unwanted facial and body hair . with just few sessions great visible results are achieved . ninety percent of clients have permanent hair loss after an average of five to six treatments. improves skin tone and texture, minimises fine lines and wrinkles , boosts collagen production and an ideal treatment for brown spots/pigmentation. 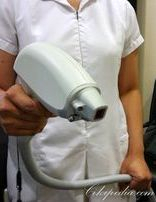 a painless, non-invasive treatment for lines & wrinkles, general ageing, wound healing, acne problem skin and sun damage. suitable for all skin types and can be used in combination with skin peels, facials, microdermabrasion and laser treatments to further enhance treatment results. Dermapen is the world most advanced skin micro-needling device, offering a variety of effective skin treatments. treats ageing, acne scars, scarring, burns, stretch marks , large pores, mild rosacea, tired dull skin and more. the benefits of the treatment includes, long lasting results, minimal maintenance, improved skin texture, natural non-surgical method, increases firmness of the skin. ultherapy is the latest safe,non-surgical ultrasound treatment used to lift and tighten loose skin on areas as the eyebrows,jawline, and jowls, as well as improve the lax skin on body. ultherapy uses ultrasound energy to heat targeted tissue under the surface of the skin,triggering the natural production of collagen. while some patients might see an effect immediately after their treatment, most real results appear over two to three months as the collagen gradually improves skin's tone and elasticity. pamper yourself with a relaxing treatment of soothing manicure and pedicure and compliment with shellac nails.